The Pushkar Lake in Rajasthan is an extremely holy and sacred lake that has an anecdote tracing its origin to divine intervention. It is located in the town going by the same name situated in the district of Ajmer in the exotic and sophisticated Indian state of Rajasthan. 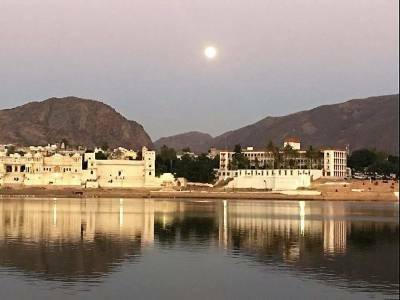 Legend has and the same can be ascertained in various manuscripts and texts from Indian religious scriptures that the Pushkar Lake predates the present day by almost 3000 years and is also home to as many as 300 indigenous temples dedicated to various Hindu deities. Owing to its divine origin attributed by the Lord Bramha, this lake has a special status of the King Of Pilgrimages and in Hindu religious philosophy it is assured that one who takes a dip in this lake would be granted salvation or Moksha. 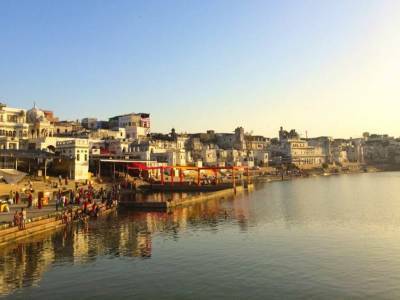 Additionally, Pushkar, a small temple town with the Pushkar Lake in between is also famous for the one and only temple in the world dedicated to a stalwart deity in the Hindu trinity of Gods, Lord Bramha who was cursed not to be worshipped anywhere in the world apart from this temple. 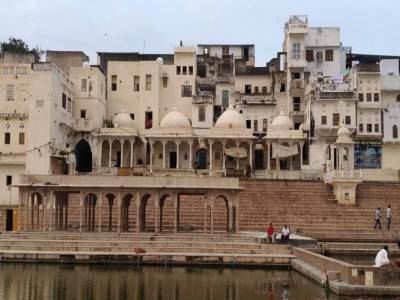 The Pushkar Lakes are ideally three in number and each lake is associated with the three god heads of Hindu trinity of God, Bramha, Vishnu, Maheshwara. 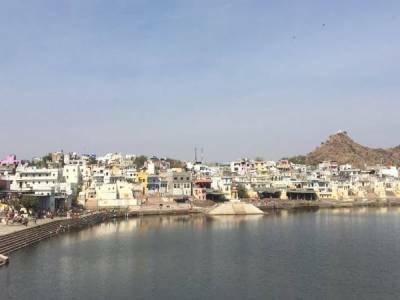 The 3 lakes are known as Jaishth Pushkar ordained to Vishnu, Madhya Pushkar ordained to Bramha and the Kanishtha Pushkar ordained to Shiva. The lakes have steps leading to the waterfront to enable people to bathe themselves and cleanse themselves before visiting any one of the 500 temples that have sprung up over the span of 3000 years around it. 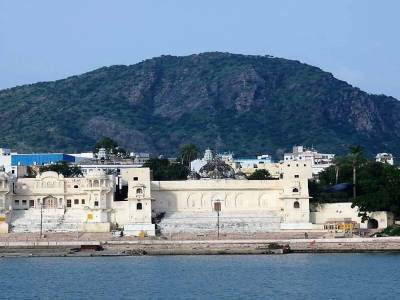 Get quick answers from travelers who visit to Pushkar Lake .